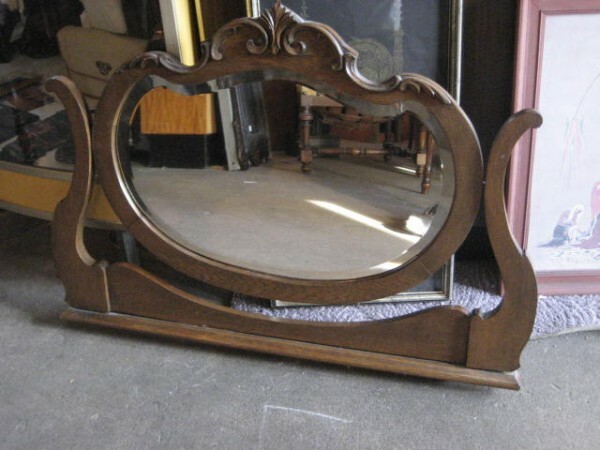 Carved oak Swivel mirror. Ca 1900 It is from an Oak High Boy Chest of Drawers, and would be the perfect replacement for your high boy that is missing the mirror. The mirror has a very nice large bevel on the glass.